Disclosure: Thank you to HERSHEY’S, HONEY MAID Grahams and JET-PUFFED Marshmallows for working with us on this sponsored post. As with all articles on Hello Creative Family, all thoughts and opinions are 100% our own. We only share things that we love. My family loves to camp. Last year between Memorial Day Weekend and Labor Day Weekend we did five camping trips, ranging from two nights to seven nights. I love that camping is an inexpensive way to get away from it all with my family, commune with nature, and spend time reconnecting. If you ask my kids what their favorite part of camping is, without a doubt they will say that it’s sitting around the campfire at night. Want to know why? It’s because every single night I pull out our “S’mores Bin” and the kids go to town making oooey, gooey, delicious toasted S’mores. 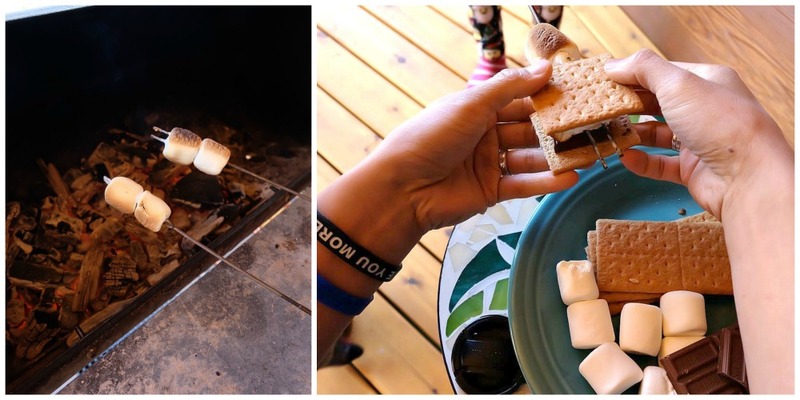 But, there’s no need to save S’mores for just a camping treat! 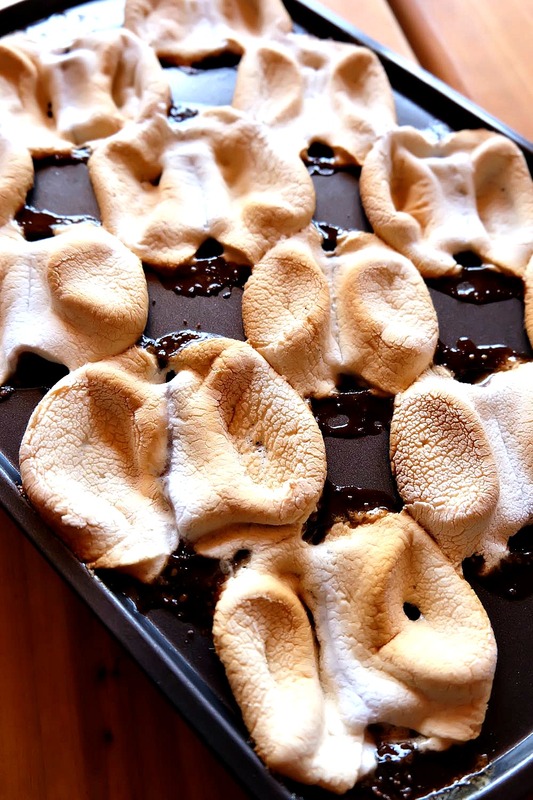 I love S’mores so much, that I find ways to re-create the S’mores flavor all year long in my backyard with the BBQ and in my kitchen– S’mores hot chocolate, S’mores brownies, S’mores cookie bars… I’ve even been known to pull out a fork and toast a marshmallow over the burner of our stove in the dead of winter. That’s how much I adore S’mores. I’ll confess, S’mores are one of my favorite desserts. I dream about perfectly toasted marshmallows, melted chocolate and graham crackers. My preference for chocolate is dark, and I think that the HERSHEY’S SPECIAL DARK Chocolate is the perfect pairing with JET-PUFFED Marshmallows and HONEY MAID Grahams. My kids are classic though, and always opt for the original HERSHEY’S Milk Chocolate. That’s ok with me, more of the HERSHEY’S SPECIAL DARK for mama! 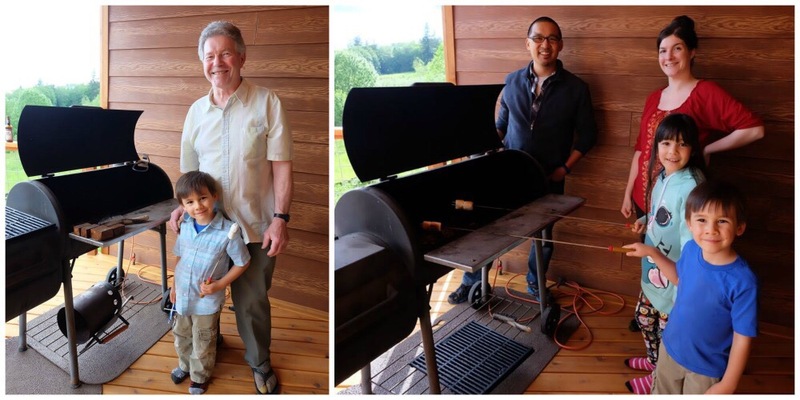 My husband always keeps the BBQ warm after making our dinner and once the dishes are cleared away, the roasting sticks and S’mores ingredients come out, we gather around the BBQ and we all make S’mores. It’s so simple! Just put a couple of JET-PUFFED Marshmallows on a roasting stick, hold over the heat, and turn as needed until you get the perfect golden hue! Add a square of HERSHEY’S Milk Chocolate and sandwich between two HONEY MAID Grahams and you are set! 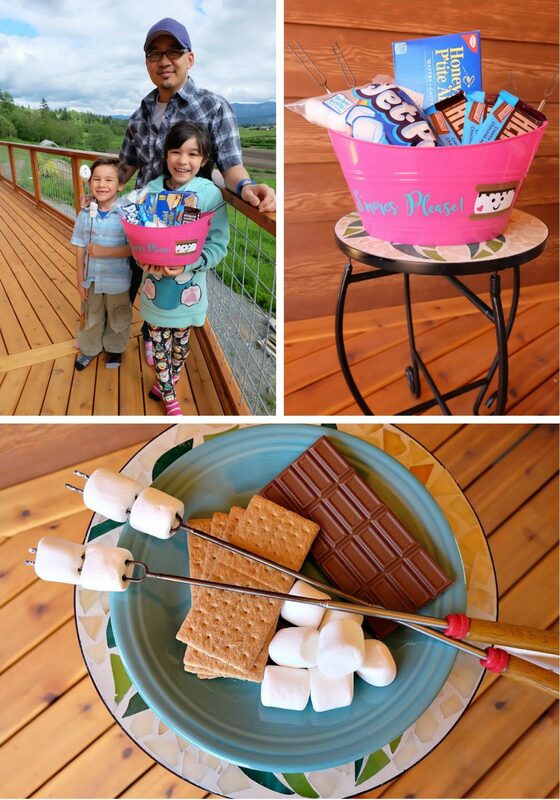 BBQ S’mores that the whole family will love! Another fun way to make S’mores for entertaining is with my Oooey Gooey Delicious S’mores Bites Recipe. 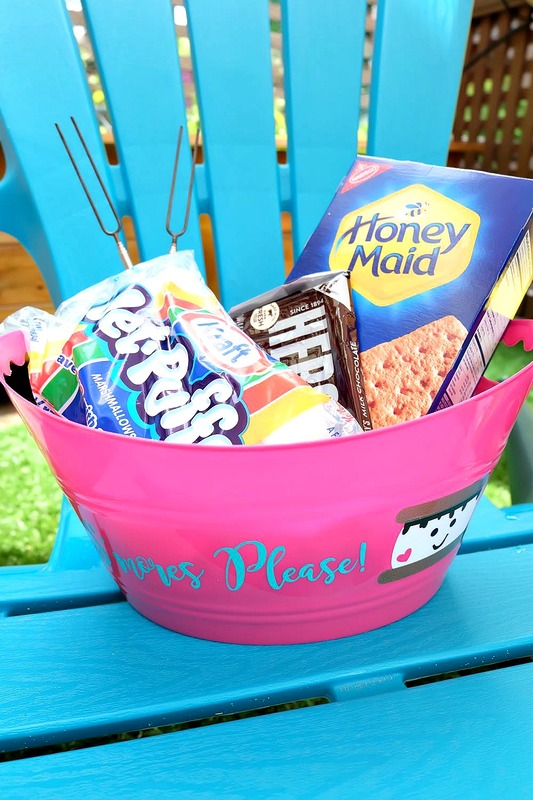 It contains all the S’mores flavors your family loves–HERSHEY’S Milk Chocolate, JET-PUFFED Marshmallows and HONEY MAID Grahams in sweet little bite sized pieces! 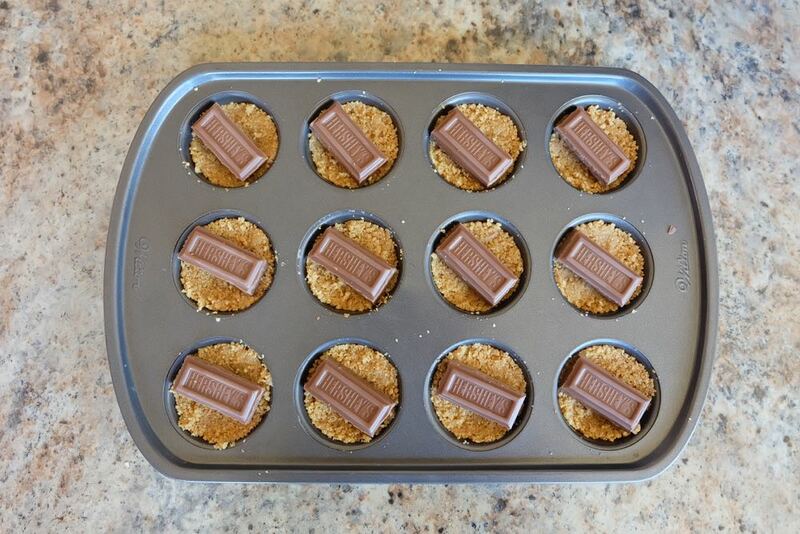 Assemble them ahead of time in a mini muffin tin and then pop them on the BBQ to melt into oooey, gooey, goodness! Make sure to keep the roasting sticks handy though! No one can resist making S’mores on the BBQ once all the ingredients come out! I made this dessert for a recent family celebration and they were a huge hit! So come on and join me! Help celebrate S’mores as the Official Dessert of the BBQ this summer, pull out the roasting forks and S’mores bins and whip up a batch of my BBQ’d Oooey Gooey Delicious S’mores Bites to enjoy with family and friends at your next special celebration! I hope your family loves them as much as mine! 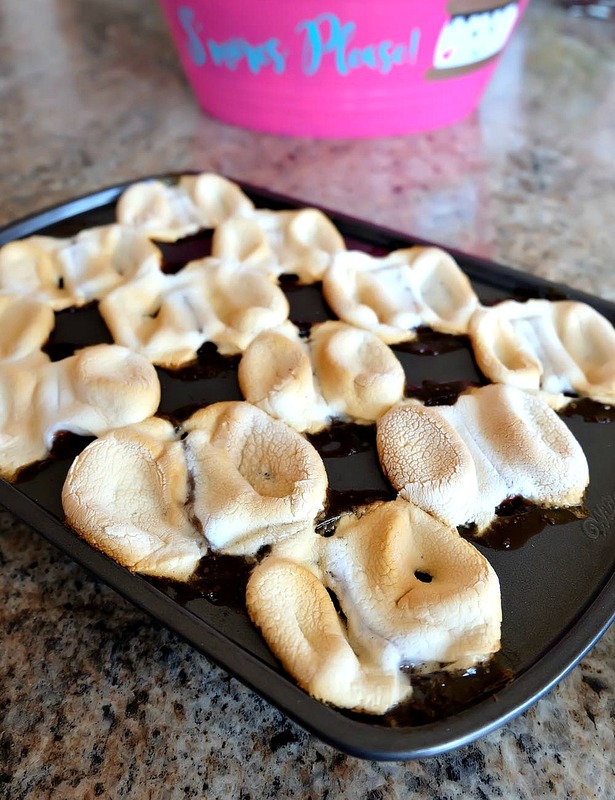 Read on for my Oooey Gooey Delicious BBQ S’mores Bites Recipe! Step 1: Grease your mini muffin tin well. 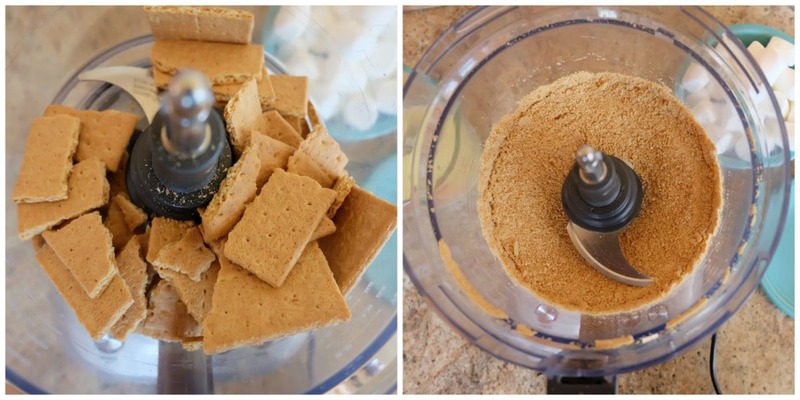 In the bowl of your food processor puree HONEY MAID Grahams until they are turned into a fine crumb texture, similar to sand. Step 2: Add HONEY MAID Grahams crumbs, melted butter and brown sugar. Stir well with a spoon until ingredients are combined. 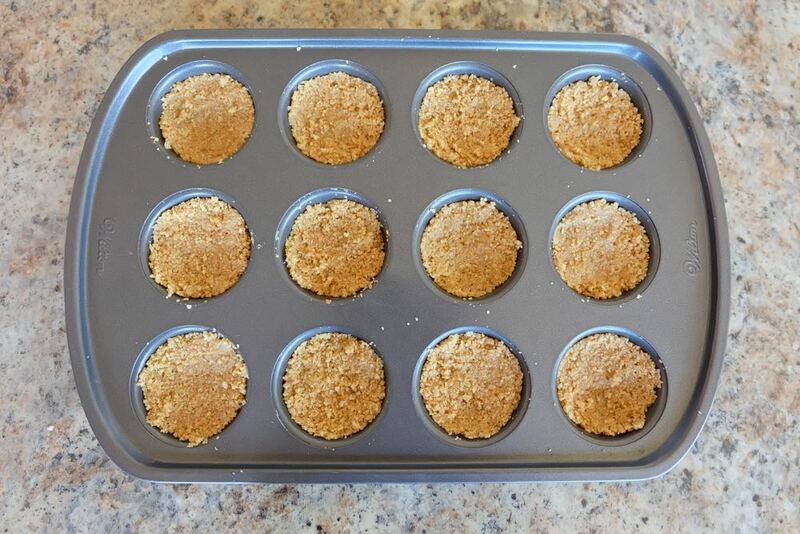 Step 3: Press your graham mixture into the cups of a mini muffin tin. Press down firmly making little graham cracker crusts. Step 4: Top each graham cracker crust with a square of chocolate. Step 5: Use a knife to cut marshmallows almost in half. I like leaving mine connected. Lay on top of the graham cracker and chocolate. Step 6: Place on your BBQ grill over indirect low heat. Close the lid of the grill and melt your S’mores for 10 minutes, checking frequently, or until perfectly golden brown and bubbling. Pop out of the muffin tin while still hot, serve and enjoy these bite sized, oooey gooey treats! Want to help make S’mores the Official Dessert of the BBQ? 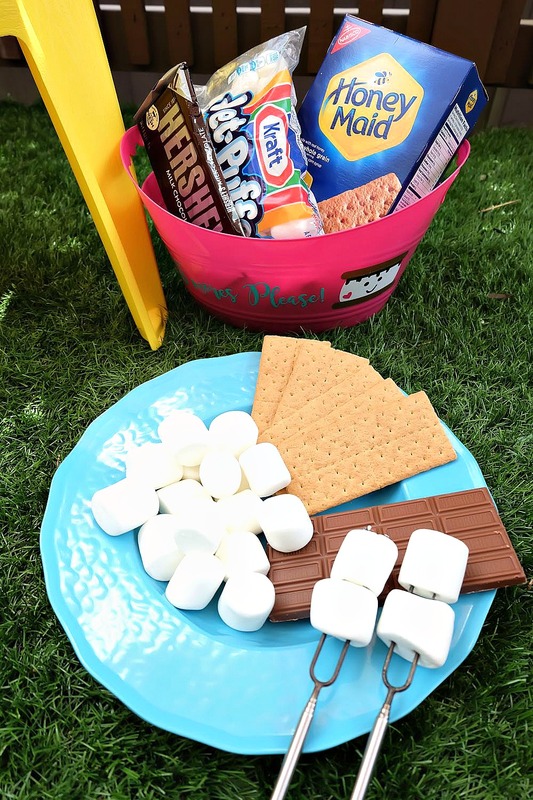 For tons of great S’mores inspiration and to learn more about this nostalgic sweet treat visit the S’mores Facebook page and share the S’mores love using the hashtag #ShareSmore. 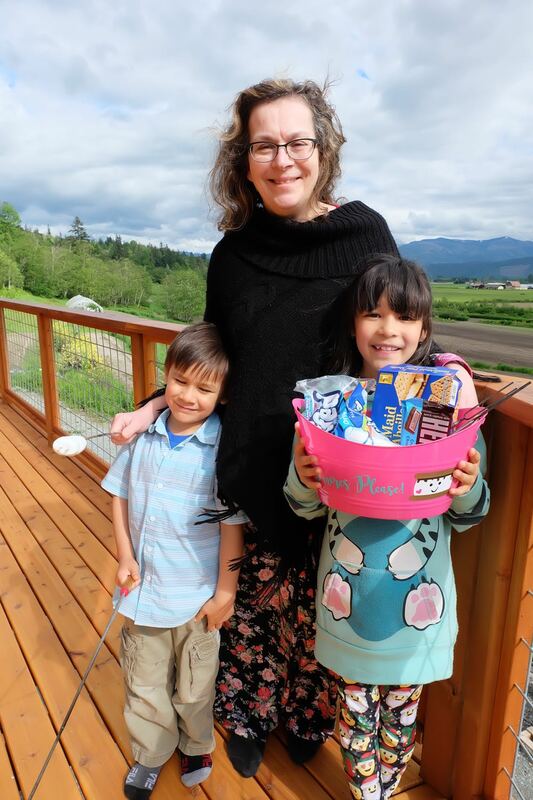 Tell me… Does your family love the taste of S’mores as much as mine does? Do you ever make S’mores on the BBQ? 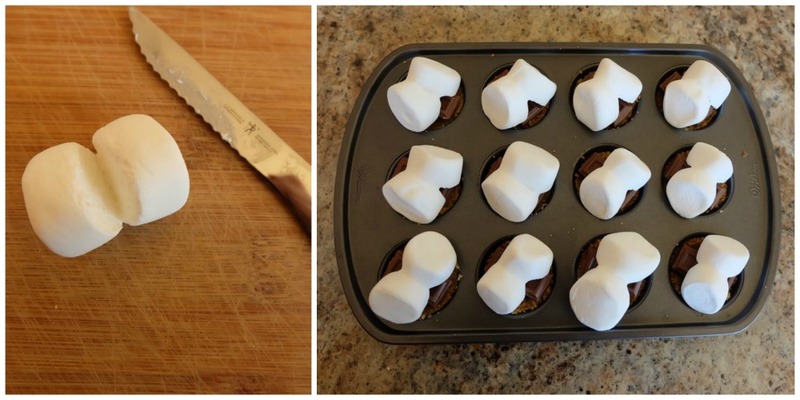 These look so great, and what an awesome way to bring the classic taste of s’mores to any celebration. Adding a piece of seasonal fruit after removing them from the oven would be great too… a slice of apple or orange, a blackberry, a strawberry, etc. Thanks for the recipe! What a great idea to do them in the BBQ! Oh yum! What a great idea!